Can i change my habits so im able to create succes? 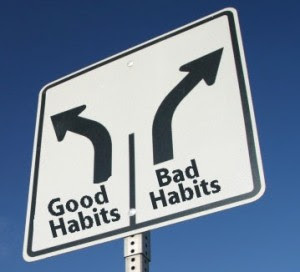 I have often asked myself what are my good habits and what are my bad. Many of us dream of creating a better life and be like creating something that other people can enjoy. I do use this blog to both share my thoughts but certainly also to talk about my journey into the internet. I think is the best platform you can get to either get information or even share your information and experiences with others. I have to create a habit to share my thoughts here. Using my hand to build my texts up and get better at writing and sharing what I learn. For me at all to get started writing I would need something to write about, and find me a time of day where I can write in peace. As I also mentioned earlier, the best way i am able building my online business is when I travel. I could use the time just reading or playing online games, but have chosen to spent my time building my blog. Here it is important to have a good habit to work with a time set deadline . It is a habit who is necessary. I want to make articles every day. I also have other habits that I certainly not happy about I had created myself, smoking is one of them. I do struggle with getting rid of it . One day i will succeeding but I have enough in common with many other people who find it difficult to change them selfe completely from one day to another. Fortunately, I dont have many other harmful vices I need to change behavior around. Many of our daily routines rooted enough in us to do what we have learned and what we have to, we have to generate an income so that we can pay our bills. Fortunately, we can create a habit so we do not have to fight to build the daily routines up. I have met many special online who made a habit of sending their network marketing business to all their network daily maybe it works for them, but I think it’s very frivolous and annoying. It seems desperate and does not particularly great value in social media. My point is that your habits. Can either create success or failure for you. I had created some good habits for myself, it allows me to generate them on both myself and my child but certainly also to my fellow man. Daily habits definitely lead to our successes. Great post and good read. People often forget get that the consistent small things we do everyday lead to big things. Yes habits can be the difference between success and failure. Our habits define who we are so if you want to be successful you need to adopt the habits of successful people. Thanks Micha you Abselutly reigth we have to learn to change habits the only way its posible is to learning from other who have succes whit the thinks we want to accomplish, its a jearney who newer end.